Last week was the busiest week ever! I'm sure I prefix every Instagram post by saying that, but I was out at events every night last week from Monday to Friday! (So social!) On Monday I went to a South West Bloggers swap party which was amazing, I'm hoping to get a post up about it within the next few days so keep an eye out for that! On Tuesday, I attended a wonderful event hosted by Octane PR for Rainbow Club shoes, so I've shared a few snaps from that although I did post about it here if you'd like to read in more detail about the evening! Wednesday through to Friday were busy with going to gigs and helping on the bar at a Howling Owl night so it was a great but tiring week, especially as I was at work all day everyday too! Aside from all that, has anyone noticed it's suddenly Christmas!? As soon as bonfire night and Halloween were out of the way, every other advert was a Christmas one, lights are being switched on all over town, and Christmas songs are playing in the shops. Exciting of course but I imagine in a couple of weeks I will be sick of it! Actually, scratch that; I'm never sick of Christmas! I've been spending more time over on my social media platforms too at the moment as I have recently reached 1k followers on Twitter which is so exciting! I do wonder who actually enjoys my X Factor or Match of the Day commentary but clearly some people do! If you want to follow you can click the button on the right or follow here! Same goes for Instagram, Tumblr, and, my favourite obsession, Pinterest! I pin a lot of fashion, style, hair and makeup and interior type things so if this sounds like your cup of tea, please do check it out! 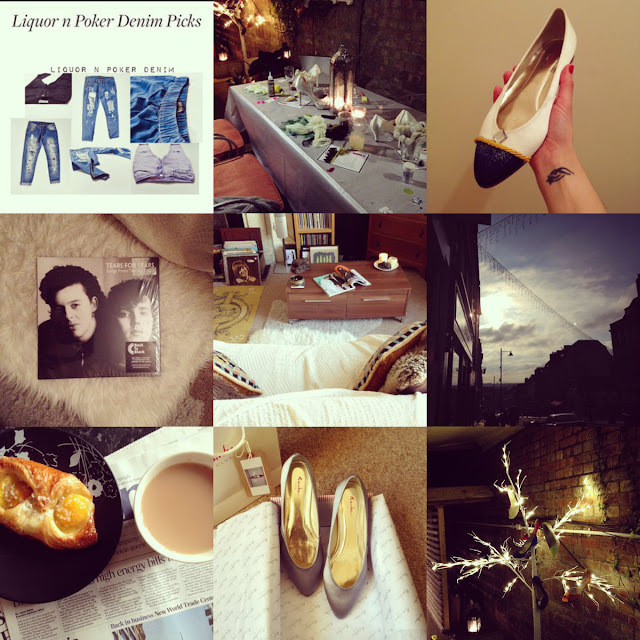 I also have an entire board dedicated to Alexa Chung, of course! Leave me your links too if you are on any of these platforms so I can check out your blogs! Edit: I also wore a poppy and observed a 2 minute silence today for those people who have been lost at war. I know this is a strange thing to put on a blog post but I think it is very important that people who paid the ultimate price for our freedom must never be forgotten.